Voice of America DJ Willis Conover is up for a postage stamp to honor his work in exporting jazz, especially to short-wave radio listeners in the old Soviet Bloc, as Doug Ramsey at The Wall Street Journal notes. A stamp would be a minimal tribute, given the remarkable role Conover played during the Cold War, though it would be just about the only "official" recognition he has ever received. During Conover's four decades as a Voice of America (VOA) deejay from 1955 through the mid-1990s he upended communist cultural policy just by playing prohibited, "degenerate" American music that his overseas audience longed to hear. Most Americans have never heard of him, but in the postwar era he was one of the best-known, and certainly one of the most popular, Americans in the world. He had millions of devoted followers in Eastern Europe alone; his worldwide audience in his heyday has been estimated at up to 30 million people. Conover managed to tour Soviet Bloc cities occasionally during East-West thaws, and, to his great surprise, was greeted at airports like a celebrity by huge cheering crowds. 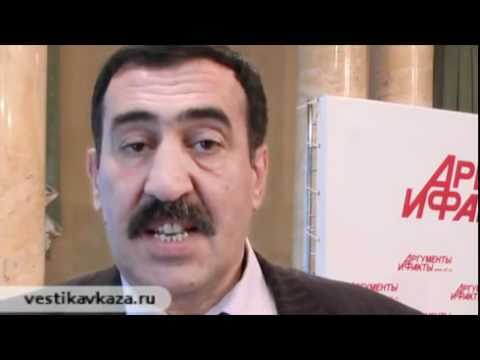 Moscow cabdrivers recognized him solely on the basis of his distinctive baritone voice. Writer James Lester has collected a series of remarkable quotes that suggest the emotional depth of Conover's impact on his audience: "In 1982, when Conover was in Moscow as an MC for a group of touring American musicians, someone took his hand, kissed it, and said, 'If there is a god of jazz, it is you.' Another young Russian wrote touchingly to him, 'You are a source of strength when I am overwhelmed by pessimism, my dear idol,' and still another greeted him in Leningrad with, 'Villis! You are my father!'" Conover never said a political word, letting the jazz do the talking. What did the jazz say? The late Russian dissident and novelist Vassily Aksyonov was to make jazz integral to his fiction, especially in his 1984 portrait of the 1960s Moscow intelligentsia, The Burn. According to Aksyonov, his circle admired jazz for "its refusal to be pinned down"; it was a release "from the structures of our minutely controlled everyday lives, of five-year plans, of historical materialism"; it was, for those trapped in the Soviet system, "an anti-ideology." "When you are in a jail, that music makes you wonder what kind of country produced it," pianist David Azarian once told Down Beat magazine. "I tell you, Conover was America's best weapon to destroy socialism and Communism." Though Conover was to play an important role in the development of dissident anti-communism, he was in one sense a consequence of Russian cultural resistance: His VOA show was a response to the amazing "Stilyagi" movement of late Stalinism. Emerging at the end of the 1940s, stilyagi ("style hunters") were bohemians who responded to official anti-Americanism by publicly embracing an extreme form of the "vulgar" American, one based on gangster movies and official caricatures. 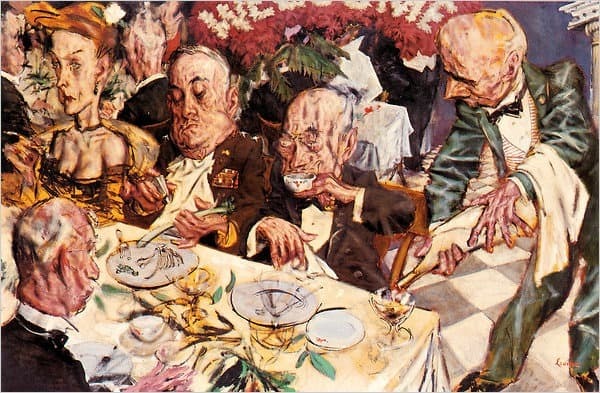 The men dressed in suits with over-padded shoulders, wore wide, splashy ties (they painted them themselves), let their hair grow long and flipped it with heated irons, made heavy-soled shoes from black-market leather, chewed gum (it was paraffin wax, since there wasn't any chewing gum), and assumed a unusual gait to draw attention to themselves. They even called each other by such American names as "Joe" and "Bob." The women were recognized by their tight skirts and heavy lipstick. They all idolized jazz—it had been played in Russia as recently as the war—collecting dubs made on old X-ray plates, the only plentiful medium in the USSR available for the purpose. The stilyagi were attacked on the streets by the cops (and sometimes by the citizenry, too), but they also drew the attention of the U.S. ambassador to Moscow, Chip Bohlen. In 1954, Bohlen suggested that the Voice of America beam a jazz program to the Soviet Bloc. VOA officials were at first cool to the idea; it sounded trivial to them, and they doubted that Congress would budget the funds for somebody to spin jazz records to a probably tiny audience. They eventually decided to give it a try, and advertised for a jazz-show host. Willis Conover at this time was a 34-year-old deejay at Washington's WWDC-AM (the same outlet that, a decade later, would purportedly be the first U.S. station to play Beatles records), and a small-time local jazz impresario whose concerts were noteworthy for their integrated audiences at a time when D.C.'s clubs and theaters were largely segregated. (Since the use of jazz to sell the U.S. in an era of Jim Crow laws has sometimes been condemned as hypocrisy, it's worth noting that Conover, at least, was no such hypocrite.) He had drifted into music from his original passion, which was science fiction/fantasy; Conover's correspondence with H.P. Lovecraft (an indefatigable letter writer) was published in 1974. When Conover heard about the VOA gig, he thought it might be a way out of his announcing job, which he didn't like. It turned out to be a nightly way out of stultifying cultural confinement for his millions of listeners. Of course, the Soviets tried to jam his hour-long show, "Music, USA," but their battle against jazz (and, later, rock music) was a hopeless one. Poland soon proclaimed that "the building of Socialism proceeds more lightly and more rhythmically to the accompaniment of jazz," though communist authorities elsewhere continued to classify jazz as the music of degeneracy and "hooliganism." By the time the short-wave dust had settled, however, Radio Moscow would be programming jazz by Russian musicians in an effort to make itself sound more hip to its own foreign audience. Of course, many of the younger Eastern European musicians—and some Cuban musicians, too—received their inspiration and jazz educations from Conover (as many testimonials on the Willis Conover Facebook Page attest). And since Conover assumed a slow and deliberate speaking pace, many of them learned English from him as well. Willis Conover died in 1996. It's a shame he remains so little-known to Americans when he was such an enormous presence on their behalf elsewhere in the world. Maybe the stamp, if it's approved, will help honor his memory. (The proposal is not the USPS's idea, but rather a successful citizen petition.) In the meantime, a world full of now-nostalgic one-time listeners, a grateful generation of jazz artists, and—to some unmeasurable degree—the ruins of the Soviet empire, will have to do. Several Department of State and USAID officials will provide remarks at the Presidential Summit of the Washington Fellowship for Young African Leaders, August 3-5, at the Omni Shoreham Hotel in Washington. The three-day Summit will bring together 500 of sub-Saharan Africa’s most promising young leaders to meet with President Obama and leading U.S. entrepreneurs, government officials, and civil society representatives. Assistant Secretary of State for Educational and Cultural Affairs Evan Ryan will call the Summit to order on Monday, August 3 at 9:00 a.m. Heather A. Higginbottom, U.S. Deputy Secretary of State for Management and Resources, and Eric Postel, Associate Administrator, U.S. Agency for International Development, will give remarks during the Private Sector and Civil Society Partnership Expo on Tuesday, August 4 at 3:00 p.m. Under Secretary of State for Public Diplomacy and Public Affairs Richard Stengel and Assistant Secretary of State for African Affairs Linda Thomas-Greenfield will offer closing remarks on Wednesday, August 5 at 3:30 p.m. The event will also feature a town hall with President Obama, a plenary session with Members of Congress, and breakout discussions with leaders in business, government, international development and non-governmental organizations. The Presidential Summit follows six weeks of academic study and leadership training for the 500 Fellows at 20 higher education institutions across the United States as part of the Mandela Washington Fellowship. There have been two major topics heading our media of late, the Iranian nuclear deal and BDS, both posing threats to this one Jewish state. 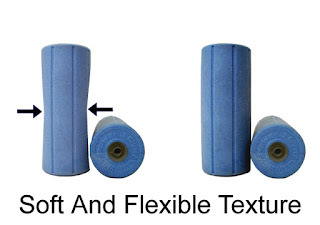 There are those who would argue that the two are not to be compared. Iran, with its continual threat to annihilate us, is an existential threat, while the Boycott, Divestment and Sanctions campaign cannot be placed in the same category. Or can it? Let us begin by recognizing that the United States is of enormous significance to the State of Israel. Its importance is twofold: first, because of the US’s steadfast support of Israel, in terms of military aid and, often, unique support at the United Nations; second, because of its Jewish community. Yes, this is the reality today – but what of tomorrow? Tomorrow begins with what is happening on campuses today, because the graduate of today will become the leader (both national and Jewish) of tomorrow. An Anti-Defamation League review of the past year clearly shows that anti-Israel activity on American college campuses is largely dominated by BDS. Jewish students throughout the country are facing hatred, accused of supporting an “apartheid state” and often have to cope with blatant anti-Semitism. This is a situation the likes of which their parents and grandparents never had to confront. The truth is that the majority of today’s Jewish students are totally unprepared for the barrage of abuse and hatred toward Israel that has now become the norm. There are numerous reasons for this, including a lack of knowledge relating to Israel and its history. This, in turn, has increased the number of students being attracted to relatively new Jewish groups that firmly believe Israel should be at the receiving end of BDS, a trend that in itself should create a sense of foreboding. WHEN AND how did BDS begin? Wikipedia states that it began in July 2005. However, as the leader of the WIZO [see]delegation to the infamous and so-called UN Conference against Racism, held in Durban in 2001, I believe this is where BDS was born. There, numerous NGOs came together for the prime purpose of delegitimizing Israel. Israel was portrayed as an “apartheid” state. One Uri Davis, an academic born in Jerusalem, brought up in Kfar Shmaryahu, was busy giving away his book Israel: An Apartheid State. As an Israeli Jew, he was the flavor of the month, invited on to TV and radio talk shows. He and other academics, such as Ilan Pappé, are well known on the campus circuit as Israeli Jews who propagate BDS and are promoting the now annual “Israel Apartheid Week” on campuses worldwide. Back to the Durban conference. Before leaving with our WIZO team to participate in this “Anti-Racist” conference, I contacted the Israeli Foreign Ministry to request materials to help us prepare for what we imagined would be a challenging situation. However, in our wildest dreams we could not have foreseen that it would turn out as bad as it did. The answer to my request was that nothing was available at this time, but “not to worry,” for when the governmental delegation came out for the second conference (the first was NGOs only, followed by the governmental conference), it would bring with it suitable material. We arrived at the conference and were overwhelmed with the most sophisticated and multiple anti-Israel materials – from T-shirts to posters and leaflets. 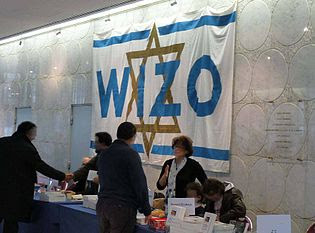 WIZO – the one organization that had a “Z” in its name – had nothing. So we spent hours at the Durban Jewish Community Center producing – as best we could – our own material, which paled compared to the professional material we had to combat. When the governmental delegation arrived, its idea of appropriate hasbara (public diplomacy) material came in the form of thick books – which were, of course, totally useless. 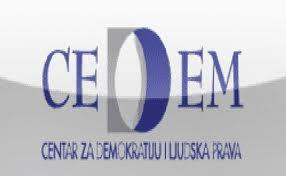 On to the governmental conference where the Foreign Ministry decided – in its “wisdom” – to send a low-level delegation to represent the State of Israel. What transpired was little short of a disgrace. Rabbi Michael Melchior, who was the foreign minister at the time, did not come to Durban but he wrote the speech to be read by someone in the delegation. Those of us sitting there squirmed in our seats as the person who read what was an excellent speech on paper clearly could not read English very well. Enough said. A FEW years later at an International WIZO conference with a gathering of 1,000 participants from all over the world, as the World WIZO chairwoman of public affairs, I again contacted the Foreign Ministry requesting material, to be told once more that none was available. Fortunately, I have a good friend who, together with her sister, produced an excellent small brochure which answered the hasbara questions of the day. She donated 1,000 of these effective booklets, which were distributed at our conference during the hasbara session addressed by a member of the Foreign Ministry. The following day I received a phone call from the secretary of the Foreign Ministry representative requesting some 5,000 copies of the brochure. Perhaps you are now wondering what tales of yesteryear have to do with today? It is quite simple: Israel has neglected the entire area of hasbara or the battle of the word for far too long. It is only now – when BDS has taken a firm hold – that our leadership is beginning to recognize it is time to do something. The question is what to do? A Jewish People Policy Institute report presented to the Israeli government at the beginning of July on the state of the Jewish people suggests that Jerusalem take the initiative. Yes, there is Sheldon Adelson who has pledged a vast sum of money to combat BDS. Yes, there is Rabbi Shmuley Boteach whose involvement has been sought as one experienced with campus challenges. Yet Boteach maintains that there is no clear direction or organization to deal with the ever-growing hostility toward Israel. 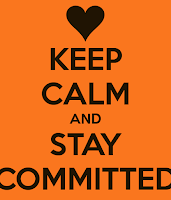 Tomorrow remains the priority, but it can be ensured only by what we do today. There can be no doubt that today’s greatest friend – the United States – will not automatically be there for Israel tomorrow. Israel’s anti-BDS effort should be clearly focused on campuses worldwide but especially in the United States. We should be in touch with leaders of America’s Jewish community to help seek out incoming freshmen with leadership potential. If Sheldon Adelson has money available, then it should be utilized to bring over these youngsters for as long as possible – three months, six months or, better still, one year. We must ensure that they are in touch with the real Israel – yes, with all its faults – but an Israel that is far removed from the “apartheid” state being propagated internationally. Birthright – a 10-day free visit to Israel – has proven to be great in contributing toward a strengthening of Jewish identity. Today we are facing a tsunami in terms of our image abroad. If we do not begin to address the campus issue with the urgency, funding and outreach it deserves, there will be no guarantee that Israel’s most important supporter will be there for us in the future. 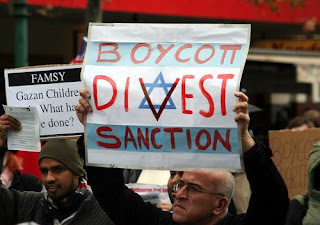 While BDS may not be an existential threat in terms of our personal survival, it is a potent and dangerous threat to the tomorrow we would wish for our children and grandchildren. ■ The writer is co-chairwoman of ESRA, and has been active in public affairs and statusof- women issues. Image from article, with caption: Israeli legal experts convened to forumlate a strategy to tackle the Boycott, Divestment and Sanctions movement (protest pictured), among other challenges. Top Israeli legal experts came together this week to formulate a new strategy to bolster the public diplomacy efforts of Israel’s government. The two-hour meeting delved into legal issues pertaining to Judea and Samaria’s Jewish communities, land and human rights, rules of war, and Israel’s right to defend itself. “We have to update Israel’s legal instruments, and to that end, Israel’s senior jurists, the best we have in the field of international law, have come together to assist the Foreign Ministry in its struggle,” Hotovely said, Israel Hayom reported. “The State of Israel has to form a legal Iron Dome to fight international delegitimization efforts, the majority of which focus on two issues, Judea and Samaria settlements and military ethics,” she added, referencing Israel's highly successful missile defense system. The group of legal experts is scheduled to reconvene in the coming weeks. China has been making major efforts to increase its ability to influence other countries without force or coercion. In 2007, then President Hu Jintao told the Communist Party that the country needed to increase its soft power; President Xi Jinping repeated the same message last year. They know that, for a country like China, whose growing economic and military power risks scaring its neighbours into forming counter-balancing coalitions, a smart strategy must include efforts to appear less frightening. But their soft-power ambitions still face major obstacles. To be sure, China’s efforts have had some impact. As it enrols countries as members of its Asian Infrastructure Investment Bank and doles out billions of dollars of aid during state visits abroad, some observers worry that, when it comes to soft power, China could actually be taking the lead over countries such as the United States. The American sinologist David Shambaugh, for example, estimates that China spends roughly US$10 billion (S$13.7 billion) a year in “external propaganda”. By comparison, the US spent only US$666 million on public diplomacy last year. However, the billions of dollars China is spending on its charm offensive have had only a limited return. Polls in North America, Europe, India and Japan show that opinions about China’s influence are predominantly negative. The country is viewed more positively in Latin America and Africa, where it has no territorial disputes and human-rights concerns are not always high on the public agenda. But even in many countries in those regions, Chinese practices such as importing labour for infrastructure projects are unpopular. Combining hard and soft power into a smart strategy, it turns out, is not easy. A country derives its soft power primarily from three resources: Its culture (in places that find it appealing), its political values (when it lives up to them at home and abroad), and its foreign policies (when they are seen as legitimate and having moral authority). China has emphasised its cultural and economic strengths, but it has paid less attention to the political aspects that can undermine its efforts. Two major factors limit China’s soft power, as measured by recent international polls. The first is nationalism. The Communist Party has based its legitimacy not only on a high rate of economic growth, but also on appeals to nationalism. Doing so has reduced the universal appeal of Mr Xi’s “Chinese Dream”, while encouraging policies in the South China Sea and elsewhere that antagonise its neighbours. With, for example, China bullying the Philippines over possession of disputed islands in the South China Sea, the Confucius Institute that China established in Manila to teach Chinese culture can win only so much goodwill. (China has opened about 500 of such institutes in more than 100 countries.) The consequences of the country’s foreign policy can be seen in last year’s anti-Chinese riots in Vietnam following the positioning of a Chinese oil drilling rig in waters claimed by both countries. The other limit is Chinese reluctance to take full advantage of an uncensored civil society. As noted by The Economist, the Chinese Communist Party has not bought into the idea that soft power springs largely from individuals, the private sector and civil society. Instead, it has clung to the view that the government is the main source of soft power, promoting ancient cultural icons that it thinks may have global appeal, often using the tools of propaganda. In today’s media landscape, information is abundant. What is scarce is attention, which depends on credibility — and government propaganda is rarely credible. For all of China’s efforts to position the Xinhua news agency and China Central Television as competitors of CNN and the BBC, the international audience for brittle propaganda is vanishingly small. The US, by contrast, derives much of its soft power not from the government, but from civil society — everything from universities and foundations to Hollywood and pop culture. China does not yet have global cultural industries on the scale of Hollywood or universities capable of rivalling America’s. Even more important, it lacks the many non-governmental organisations that generate much of America’s soft power. In addition to generating goodwill and promoting the country’s image abroad, non-governmental sources of soft power can sometimes compensate for the government’s unpopular policies — such as the US invasion of Iraq — through their critical and uncensored reaction. China, by contrast, has watched its government policies undermine its soft-power successes. Indeed, the domestic crackdown on human-rights activists undercut the soft-power gains of the 2008 Beijing Olympics. And the benefits of the 2009 Shanghai Expo were rapidly undermined by the jailing of Nobel Peace Prize laureate Liu Xiaobo and the television screens around the world broadcasting scenes of an empty chair at the Oslo ceremonies. Marketing experts call this “stepping on your own message”. China’s aid programmes are often successful and constructive. Its economy is strong and its traditional culture is widely admired. But if the country is to realise its enormous soft-power potential, it will have to rethink its policies at home and abroad, limiting its claims upon its neighbours and learning to accept criticism to unleash the full talents of its civil society. As long as China fans the flames of nationalism and holds tight the reins of party control, its soft power will always remain limited. The Qatar Marquee at the Eid Festival in London. 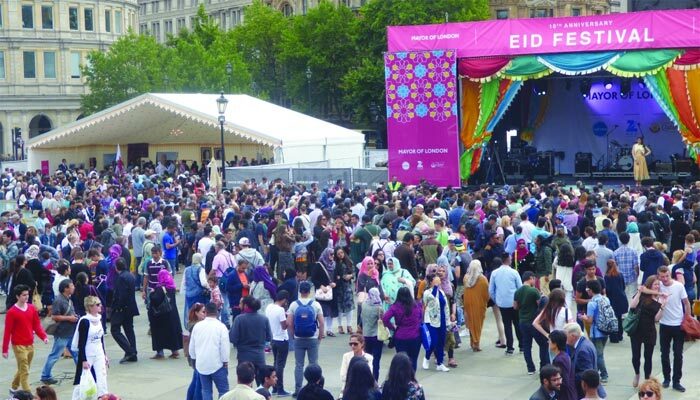 The Eid Festival held in the heart of London on Saturday saw people from all corners of the globe converge onTrafalgar Square to celebrate the end of the holy month of Ramadan. The Qatar Embassy in London co-sponsored the day-long event in partnership with the Mayor of London, Boris Johnson. Diplomats and staff from the embassy, assisted by volunteers from Qatar, were on hand at the festival to showcase the culture and traditions of the country and offer hospitality on the day. Mubarak Ajlan al-Kuwari, third secretary at the Qatar Embassy, spoke to Gulf Times about their participation. The embassy has been planning for the event since last year and it proved very popular with people keen to enjoy the Qatari exhibits which included a history of pearl fishing, ceramics and a musician playing the Oud. Hamad Mohamed Hussen Ali Almuftah, counsellor at the Qatar Embassy, gave additional background about the embassy’s programme of public diplomacy. “When our Ambassador, Yousef Ali al-Khater, first came to London he initiated a programme called Outreach which is a public diplomacy programme through which we engage not only with the government of the United Kingdom but also with the public. 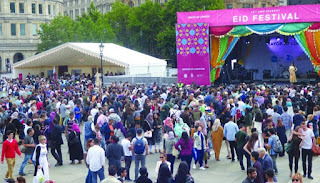 This event is part of that programme; we are celebrating Eid in London not only with the Muslims but with the whole population of the city and tourists as well. China and Russia have devoted significant resources to developing their international broadcasting capacity as an instrument of public diplomacy. Focusing on CCTV-N (China) and RT (Russia), this article discusses the strategies each has developed to communicate with international audiences and further the foreign policy ambitions of policy makers in Beijing and Moscow. It highlights the differences between the two stations – namely CCTV-N's ambition to rectify perceived distortions in the global flow of news about China, and RT's focus on reporting events in the US. Hence the case studies expose the fine line between propaganda and public diplomacy. 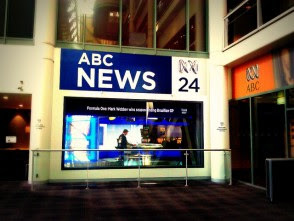 The recent axing of the Australia Network came as a major blow to Australia’s public diplomacy efforts, which had until that time centred on the modest but important broadcast reach of the ABC. Additional budget cuts, including to Australia’s development assistance and international scholarship programs have further eroded Australia’s soft power resources, while lagging digital diplomacy efforts continue to constrain Australia’s real-time reach and impact. 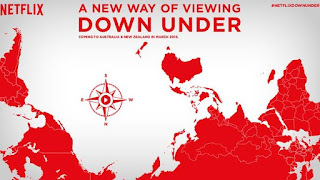 At the same time, new initiatives driving people-to-people connections offer alternative models for Australia’s wider relationship-building, particularly in the Indo-Pacific region. This presentation examines recent challenges, latest trends and prospects for Australia’s public diplomacy and considers what it might all mean in the ongoing search for soft power. Dr Caitlin Byrne is a senior lecturer in International Relations at Bond University and former research fellow of the USC Centre for Public Diplomacy. 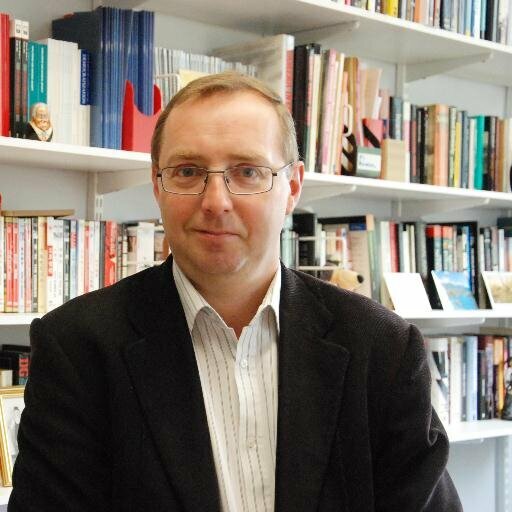 Australia’s foreign policy establishment seems unclear about whether to opt for European-style collaborative public diplomacy or US-style persuasive soft power, but it is unlikely to attempt interventionist, manipulative smart power techniques. For Australia, other initiatives are more likely to work: it could host an Asian regional Institute for Public Diplomacy, for example, and establish a free-standing Australia Foundation to present a more coherent, interesting narrative to the world. Alison Broinowski, formerly an Australian diplomat, was Cultural Attaché in the Australian Embassy in Tokyo, and Director of the Australia-Japan Foundation in the 1980s. She is currently researching soft power and public diplomacy as Visiting Fellow at the Australian National University’s Faculty of Asian Studies. As the pivotal actor in global developments, the Islamic Republic of Iran has historically proven to be capable of applying public diplomacy tools; however, it has always been under a “cultural invasion,” alongside economic and political sanctions of the West, for nearly the last four decades …. The U.S. has employed hard and soft power tools toward Iran, particularly since the administration of President George W. Bush, who approached Iran with a “two clock strategy.” That is, the U.S. government directed its policies at fulfilling two coercive objectives: changing both Iran’s behavior and its regime through instruments of hard and soft power. The change in behavior was geared at curbing Iran’s peaceful nuclear program, which was described as “non-peaceful.” Consequently, the U.S. government tried to slow down and/or reverse this clock (i.e., change behavior) through economic and political pressure. At the same time, it tried to speed up the clock of regime change through instruments of soft power and as a result there was a cultural invasion by means of employing some of the powerful radio and TV channels broadcasting in both the English and Farsi languages. In light of the White House’s detrimental policies, Iran’s traditional diplomacy tools have not been helpful. 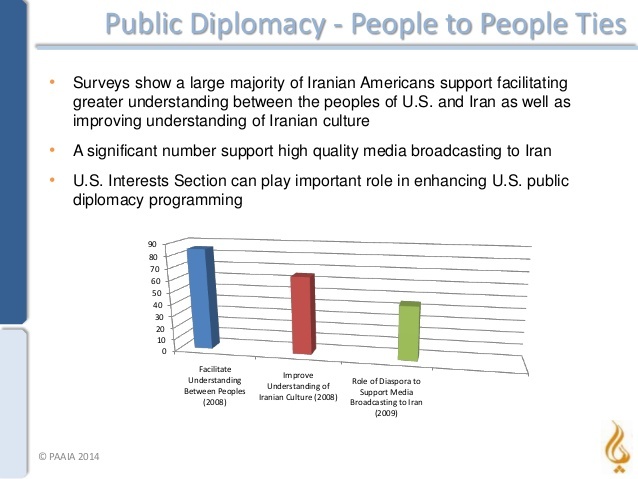 Iran began to believe that in order to win the diplomacy war, it should resort to comprehensive public diplomacy programs that attract, inform, persuade, and influence - that is, the necessity of public diplomacy became almost impossible to ignore and added more importance to digital diplomacy, as they recognized that continuing to practice diplomacy as usual without effective public diplomacy was like trying to run a car without an engine in the digital age of the 21st century. Faced with a challenging misinterpretation worldwide, Iran in the new era began its attempts to resolve it through new diplomacy tools based on maximum engagement, as well as employing a new rhetoric based on a “patience-oriented, friendly approach” towards diplomacy, which in many ways helped to harmonize and reconcile inconsistencies between its foreign policy and public diplomacy. As a proud father of daughters, as someone who wants Jewish women (and all women) to be inspired to do great things, wanted to offer a list of ten Jewish women role models worthy of respect and admiration. 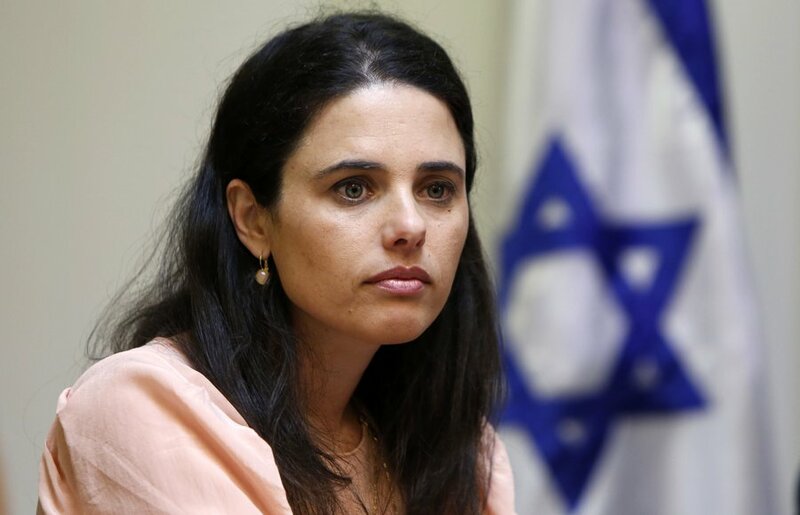 Ayelet Shaked: Israel’s Minister of Justice is only 39 years old, and has quickly proven herself to be a valiant woman making a difference for the Jewish State. She’s hard-working, eloquent and fights for what she believes is right. A secular leader of a religious party, her heritage is an amalgamation of Ashkenazi and Sephardic lineage. A charismatic leader, she rightfully pronounces “… that public diplomacy is the new battlefield and that money and resources must be invested to repulse the wave of incitement and lies spread about [Israel] around the world. The battlefield of public diplomacy is far more important today to the existence of the State of Israel than a tank battalion or an Apache squadron.” Expect to see so much more from Ms. Shaked for many years to come. Ms. Shaked is a strong Zionist women leader to be respected. AS A CANDIDATE for president in 2004, John Kerry couldn’t bring himself to worry overmuch about Islamic terrorism. 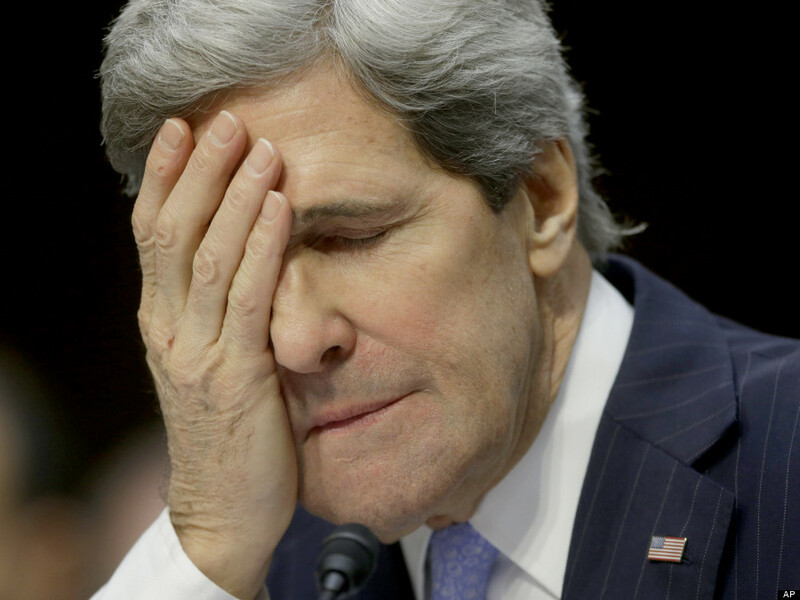 Today, as a secretary of state trying to sell a nuclear accord that would lift economic sanctions from the world’s leading state sponsor of Islamic terrorism, he still can’t. Chhattisgarh continues to overlook and under-utilise the radio to counter Maoist influence. Yet, the megaphones remain mute appendages today. The local electricity department has cut power to them because of unpaid dues. STMs modern studio also lies in disuse, gathering dust and seepage. Its operational expenses were not much — it cost under Rs. 30,000 to run every month, including the salary for a guard and a technical assistant. Was it was too high a price for the administration to connect with locals in a language they understand best? Maybe linguistic public diplomacy wasn't a worthwhile investment in a theatre of conflict where winning minds is key priority? I’ve written many times your PR is only as good, or as bad, as your policies. You can pour a lot of perfume on a goat but in the final analysis, it’s still a goat. That’s why I feel sorry for Obama administration spokespeople. Guy W. Farmer, of Carson City, is a retired diplomat who was a public diplomacy specialist. Let's examine the prevailing media narrative that the United States is "losing the digital war" with ISIL, also known as Daesh (as it's called in the Muslim world) or the Islamic State (as it's ordinarily referred to in The Washington Post). The terrorists' videos of ghoulish beheadings and slow-motion executions have earned them single-digit approval among Muslims. Only 1 percent of the 1.6 billion Muslims worldwide support their actions, while only about 5 percent support their goals. That's not trivial, but it's not exactly winning, either. Next, look at what media folks call "share." There were about 230,000 mentions of the group across various social media platforms on an average day last year. That may sound like a lot -- but if you do social media mapping, that amount of content would be about the size of a ping-pong ball relative to a baseball-size figure for the band One Direction. Discussion of soccer -- at about 1.5 million mentions -- would be, well, a soccer ball. Not a lot of share for ISIL. And according to the government's Center for Strategic Counterterrorism Communications, more than half of those ISIL mentions are negative. In other words, there is more anti-ISIL content on social media than pro-ISIL content. Analysts believe that about 500 to 2,000 dedicated ISIL fanboys (call them Hashtag Jihadis) are stirring up the traffic on social media and propagating most of the links. A Brookings Institution study describes them as "a relatively small group of hyperactive users." Most of them are in ISIL-controlled areas in Iraq and Syria. The truth is, ISIL is a niche brand that figured out how to get a mass audience. In fact, it's Western media that made it mass. ISIL aims to frighten the West by using the "shock and awe" of graphic medieval violence. It has done pretty well there. But ISIL's bigger priority is luring foreign fighters to the kinetic battlefield. An ability to reach even half of 1 percent -- that is, 0.5 percent -- of the Muslim world gets them an audience of 8 million potential recruits. Not insignificant. The great misconception in this information battle is that ISIL's sophisticated use of social media is somehow luring young men who would otherwise remain at home with their families, playing video games. Is it ISIL's stylized violence and calls to purity that motivate potential recruits, or is it frustration, chronic unemployment, lack of education and a life with few outlets for free expression? The message that ISIL peddles via social media is seductive because these young men are searching for meaning and purpose. The content that is directed toward them is often designed to seem noble, heroic and altruistic. ISIL also preys on insecurity and the gnawing question of "Am I Muslim enough?" When I met with Jordan's information minister a while back, he told me: "The Arab culture of shame and honor contributes to the appeal of ISIL, which portrays its cause as a noble and heroic journey and the fulfillment of the search for honor and meaning." Let's talk about the small audience of potential fighters. The most powerful countermessages are fact-based ones that debunk the idealized portrayal of "the caliphate," sowing doubt and anxiety. They express disillusionment that the caliphate is not well run. They experience discrimination. Some complain about having to clean toilets. Most quickly realize that they won't get paid, that they won't find a wife -- local families reject foreign fighters' marriage proposals. And worst of all for these Hashtag Jihadis, the caliphate has limited Internet access. We emphasize all of these things. Reaching the broader audience of Muslims worldwide is just as vital. Together with our allies, we are puncturing ISIL's myths through targeted, locally tailored social media campaigns. We are also standing up dedicated information centers in the Muslim world that will counteract ISIL's messaging and provide a positive alternative. In early July, I traveled to Abu Dhabi to open the Sawab Center ("Sawab" means "the right path" in Arabic), a joint project of the United States and the United Arab Emirates. 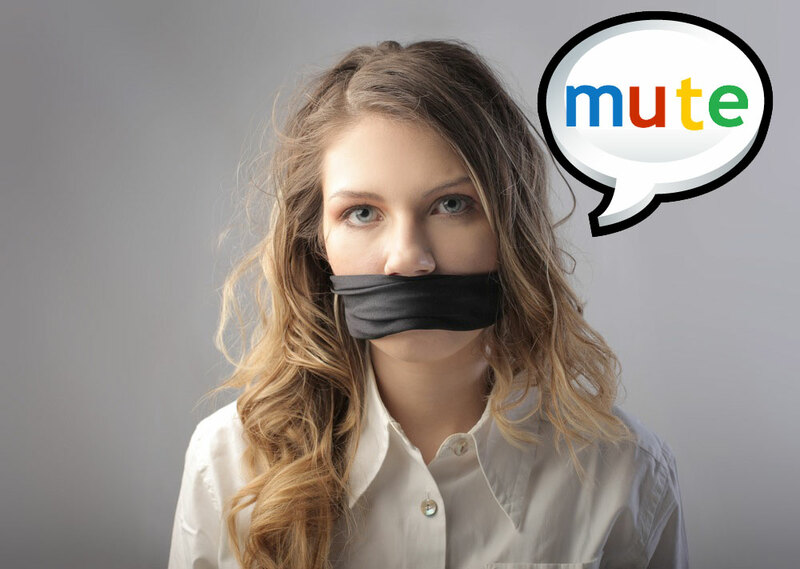 Staffed by media and technology experts from both countries, it's the first communication hub devoted to creating Arabic and English-language content that directly challenges ISIL and the destructive vision it propagates while offering compelling alternatives. As President Barack Obama said recently, "Ideologies are not defeated with guns. They're defeated by better ideas." In this contest of ideas, we have numbers on our side: the hundreds of millions of Muslims who reject ISIL and all that it stands for. With the support of the United States and our partners in the Middle East, more and more of these people are making their voices heard. In the information war, we are gaining ground and momentum. Richard Stengel is U.S. undersecretary of state for public diplomacy and public affairs. It was undoubtedly one of the most unorthodox – and therefore memorable – settings for a major political debate. On July 24th, 1959, the United States opened the American National Exhibition at Sokolniki Park in Moscow. The Soviets and Americans had agreed to hold exhibits in each other’s countries as a cultural exchange to promote understanding. The Soviet exhibit in New York opened in June, and the following month Vice President Richard Nixon went to Moscow to open the U.S. exhibit, and take Soviet Premier Nikita Khrushchev on a tour of the exhibit. 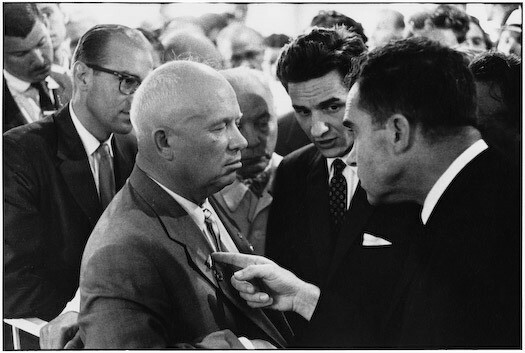 During the tour, Nixon and Khrushchev had a series of exchanges through interpreters debating the relative merits of capitalism and communism, which are now known as the Kitchen Debate. The Kitchen Debate took place in a number of locations at the exhibition but primarily in the kitchen of a suburban model house, cut in half for easy viewing. Khrushchev surprised Nixon when he launched into a protest over a recent resolution that had passed the U.S. Congress condemning the Soviet Union for its “control” over the “captive peoples” of Eastern Europe. He then dismissed the new technology of the U.S. and declared that the Soviets would have all of the same things in a few years time. Nixon responded by saying at least the competition was technological, rather than military. Both men agreed that the United States and the Soviet Union should seek areas of agreement. 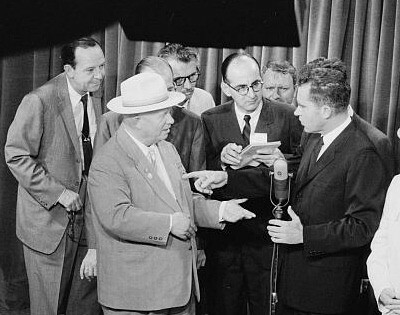 Khrushchev remarked that everything he had said in their debate should be translated into English and broadcast in the US. Nixon agreed. The three major television networks broadcast the kitchen debate in the U.S. on July 25. Two days later, the debate was broadcast on Moscow television, albeit late at night and with Nixon’s remarks only partially translated. American reaction was initially somewhat mixed, with The New York Times calling it “an exchange that emphasized the gulf between East and West but had little bearing on the substantive issue.” Khrushchev claimed that following his confrontation with Nixon he did all he could to bring about Nixon’s defeat in his 1960 presidential campaign. The entire debate can be found here. Edward Hurwitz served as Staff Aide to Ambassador to the USSR Llewellyn “Tommy” Thompson from 1958-60; he was interviewed by Charles Stuart Kennedy beginning August 1996. Raymond L. Garthoff served in the Bureau of Political-Military Affairs from 1961-1968. He was interviewed by Horace G. Torbert beginning June 1989 . Hans Tuch worked for Voice of America in Moscow from 1958-1961; he was interviewed by G. Lewis Schmidt in August 1989. George F. Sherman Jr was the East European correspondent for The London Observer from 1956-1961 and was interviewed by Dennis Kux beginning in January 1995. 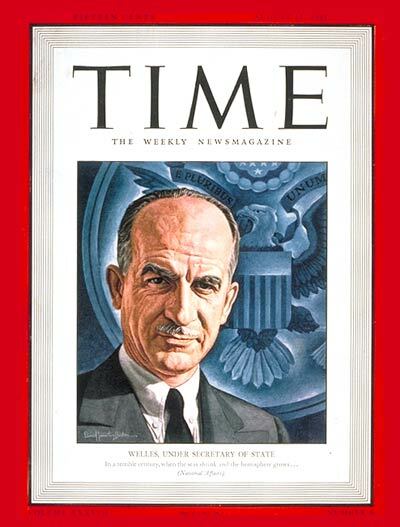 Abraham M. Sirkin worked in the U.S. Information Agency (USIA) Policy Officer from 1957-1962, and was interviewed by Charles Stuart Kennedy beginning in May 1997. 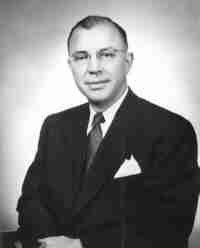 Gilbert A. Robinson was Special Assistant to the Undersecretary of Commerce from 1955-1959. He was interviewed by Kennedy beginning in August 2002. Gilbert M. Callaway worked for USIA Yugoslavia from 1972-1974, and was interviewed by Kennedy beginning in April 1999. GARTHOFF: Nixon was quite aware, and said that he really knew rather little about the Soviet Union, but he was obviously interested in learning quickly, preparing himself for the trip and to make the most out of it. I was very favorably impressed with both his energetic interest in getting the proper briefings and learning things, and his quickness in seeing points and picking them up. So that was a limited contact, but nonetheless, from then on I was involved in preparing, coordinating, really, things that the Agency [CIA] could do, both for its own interests and for his, in background briefings before the trip and briefings afterwards and that sort of thing. As I say, I was quite impressed with him. On the trip, incidentally, one thing that had occurred to me was that he might be interested in learning, while we were still on the trip, how his visit was playing in the Soviet press. Of course, the harried delegation, as we were going around, had no time to sit down and try to read daily Pravdas or listen to the Soviet radio or anything of the sort. So I had arranged this in advance and got, through the embassy, to the station [CIA representation in the embassy], very up-to-date coverage of how his visit was being treated in the Soviet media and so on. He was very interested in that and very appreciative of it. He was, of course, particularly interested in how it was playing in the American media, but he was also interested in that. 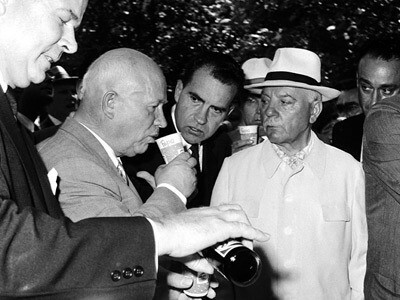 HURWITZ: Khrushchev was considered a wily, but very unorthodox by Soviet standards, person. An earthy, peasant type, who was interested in not having a real confrontation with the United States. He was somebody who Thompson could talk to. He came to the embassy. He talked to any number of American visitors of the Rockefeller type. He was interested even at that time in seeking some kind of common arrangement to avoid confrontation. It was a totally different atmosphere from Stalin and from what came later with Brezhnev. It was an “otopel”, a thaw from what had gone on before. [On the cultural side, things were more open.] We had Adlai Stevenson, Eleanor Roosevelt, Carl Sandburg, Saroyan, Benny Goodman, Duke Ellington, Gary Cooper and Edward G. Robinson. All of these were opportunities for enormous outpouring of interest on the part of Russians. It was a very active and interesting time. Perhaps the most influential, the most striking evidence of this was a triumph of USIA and U.S. policy initiative there, the U.S. exhibition in 1959. This was really a masterpiece because it was all geared to American consumer items — things that blew the Soviets’ minds. ROBINSON: Eisenhower had said to his Cabinet, “The United States is conspicuous by its absence at international trade fairs. We want to do something about it. I’ve talked with the Secretary of Commerce. He’s going to set up a special division. I want USIA to work with them also.” And the State Department. It will basically be for trade, but we wanted to tell our story also. So, Commerce, USIA and State all worked closely together. I was attached to the U.S. consulate there. I learned about State and about USIA, and we all worked together very nicely, never dreaming that I would end up as the Deputy Director of USIA some day. [The focus of the fair] was eclectic. 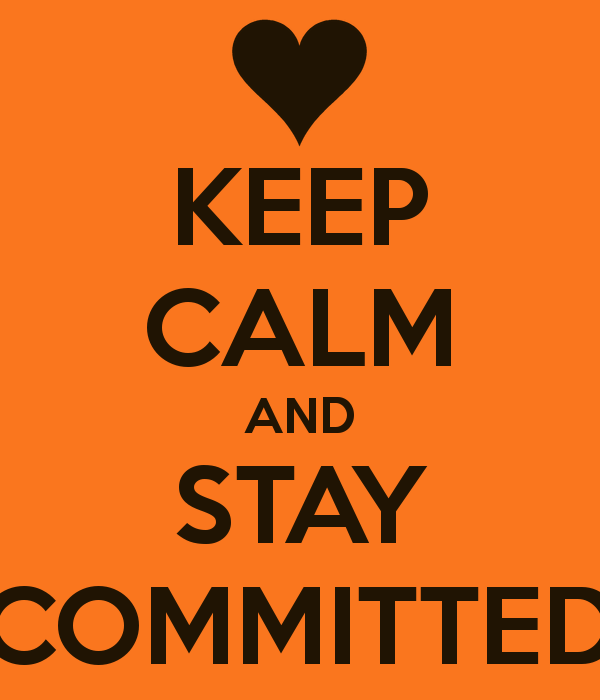 For my work, a lot of it depended on how well you can manage in that country and deal with the unexpected. One day, I found out that there were these gorgeous tractors. They were polished every day. I think they were made by International Harvester. I found out the story when I went up to a meeting in the embassy in Ankara. Some guy from AID [Agency for International Development] tells me the story. He said, “We shipped those down 10 years ago. Somebody who was drafted right after the war to do this, to help, only knew one thing: State had said that what you give Greece you’ve got to be equal with Turkey. What they didn’t tell him was that the farms we were shipping to in Greece were big farms and that Turkey had small farms with walls so you couldn’t use the big tractors in these smaller patches of land. So they sat there. So, I saw this as an opportunity for the fair and borrowed them to use as a U.S. exhibit. I borrowed a crane that was the biggest in the world at that time when they were finished building the dam in Turkey. I met the president of the corporation and he loaned it to us. Things like that. We also had new Polaroid cameras for exhibits. Polaroid, which was still new then, had given us a bunch of cameras and film, so I set up a stage. We always hired locals as guides in uniforms and trained them from the colleges, those who spoke English. The guide would call somebody up from the audience and take their picture. It became the biggest hit of the fair and it was an afterthought for us. We put on a major exhibit there. So, we spent six months doing the exhibition, putting it together. We sent managers over there. I also became the coordinator of the exhibition. We had staff in Moscow. Then he and I went over for six months and had the largest contingent of Americans since the Bolshevik Revolution in 1917. We had as exhibitors IBM, GE, Ford, General Motors, all of the major people. Macy’s did the furniture for the model house we had. We had top fashion models. The cement was still drying on the morning that we put up the platform for Khrushchev, Nixon, and Milton Eisenhower to open the fair. A lot of people think that Nixon was the head of the delegation, but Eisenhower made his brother, Milton Eisenhower (pictured), the Chairman of the delegation. I was riding in a taxi once and was sort of testing how much the population knew about the exhibition. I said to the taxi driver in Russian, “Eisenhower is coming here.” He turned around and said, “Da. Nyet President Eisenhower. Milton Eisenhower.” He knew that it was the brother, not the President. We found out when I met alone with the Soviets after the Exhibition had closed, that there had been a big fight — this is very interesting to students of history – between the Stalinists and the Khrushchevists because Khrushchev tried to do what Gorbachev did later to open the Soviet Union up. He wanted more consumer goods. He wanted the U.S. to come in and the Soviet citizens to see it. So, we had a tremendous exhibition. We had 100 Russian-speaking American college students or graduate students who were the guides. This was another area where there was very close cooperation. In fact, the President mandated that Commerce had the lead; USIA and State were close support; and they reported to the President on this one. Ambassador [to the USSR Llewellyn] “Tommy” Thompson gave me an office there at the embassy and said, “Look, you’re doing more than the embassy is doing with the business contacts, with Americans and Soviets. So why don’t you handle that and give us the cultural and we’ll handle that?” And we did. It worked out very well. The cooperation was wonderful between all elements mainly because we had a very good, strong leader, an independent guy, Chad McClelland, who knew how to make people work together. He was the only man I ever saw who dictated a three page contract with commas and semicolons and nobody ever had to change it. Americans and Russians worked together very cooperatively. As a matter of fact, some funny things happened. One thing that McClelland did – and the State Department could not understand it – was he asked that all cables to the Soviet Union from the exhibition be in the clear so that the Soviets could read them. The reason he did that was that he wanted clear communications. It was an exhibition, nothing to hide. It turned out to be great for us. We kept sending our messages to our manager over there: “Can’t the Soviets provide you with forklifts and trucks? We have seven forklifts right on the dock ready to go now. Tell us: Should we put them on a ship?” We could communicate our needs freely. Every day, we’d do that. 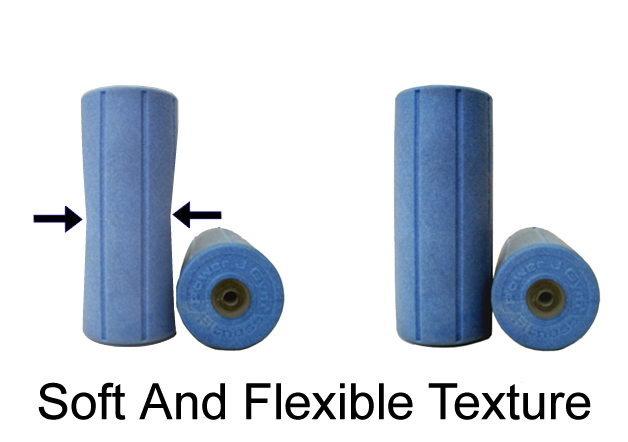 Finally, we get a pouch from State. We open it and find Polaroid pictures of a parade of forklifts, trucks, and everything. SIRKIN: A year or two before, the kitchen was very prominent in our discussions. The question was, “Do we show the most up-to-date kitchen which only a few people will have, to show the best we could possibly do? Or do we show an average class, good kitchen, not with all the latest frills, so we can say this is the kitchen which is in so many million homes and not just the best of the best?” That was a big issue. The reason I called it long range was because I felt if we were going to make an impact on people that we were trying to influence such as the Russian populace, but maybe Russian leadership as well, we have to try to figure out what they know and what they don’t know and what’s in their minds and try to fill in that level and so that’s why I felt this was a very important breakthrough even though it was only in Moscow and didn’t reach the whole population. I think to some extent this is still true, that you try to reach the opinion makers and the policymakers more than you try to reach every last individual. This would be people in Moscow, including the bureaucracy, who would be affected by this. I decided on a sort of slightly better than average kitchen rather than the fanciest of all because that would be easy for journalists to say that very few Americans have this. One of my most serious involvements was in the art exhibit. Khrushchev had something to say about the ugly things he saw in our art exhibit. But before that we had to fight off Dwight Eisenhower who was merely President of the United States. For the art exhibit they picked a jury. So Eisenhower immediately called to find out what the hell was going on and this got into the papers. I don’t know who leaked it but it got into the papers that this thing was going on and that Eisenhower was going to maybe wipe out this exhibit or at least censor it and have a few pictures. At that point I got involved and said I thought this was a freedom of expression and information issue. We should show that we have people who are critical or whatever. I think that one of the women, there were two people who were going to be curators, one for three weeks and one for three other weeks, and one of them was a New York Gallery woman. She was immediately quoted by the press as saying, “What the hell does President Eisenhower know about art?” She stayed on. First I wrote a strong memo of why we should keep the exhibit to one of my bosses, Deputy Director Abbot Washburn, and he turned it over to a guy he knew on his side of the street who I knew very well because he was one of my bosses in Paris on the Marshall Plan, Roscoe Drummond. So Roscoe Drummond read this memo I wrote and virtually turned it into a column. That sort of helped swing the content of the exhibit. In order to appease the right wing on this including the President, they agreed to have a few additional pictures of I think Stuart, Washington and a few other Presidents and Generals… But, they added some more pictures to add to what the artists had picked. TUCH: There is a footnote to this story. 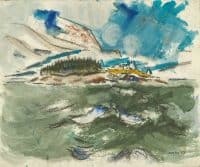 When Nikita Khrushchev returned for a second visit to the exhibition — the first had been with Nixon — his interpreter got lost in the crush of the crowd that surrounded the Chairman as he viewed the display of American art. I was one of the people escorting him, and I was corralled into amateur interpreting duty. All went well as Khrushchev examined the nineteenth and early-twentieth century American paintings. Khrushchev inquired and was told how his comment had been interpreted into English, whereupon he admonished, “Please interpret the Chairman correctly,” and I did…. The exhibition featured the latest in U.S. home and entertainment technology, including an RCA color television studio [the first of its kind], science, fashion, American family living, consumer products, photography, the Edward Steichen “Family of Man” exhibit, and art. The centerpiece was a Buckminster Fuller geodesic dome that contained a gigantic seven-screen film projection depicting a 24-hour period in the lives of typical Americans living in various parts of the United States. 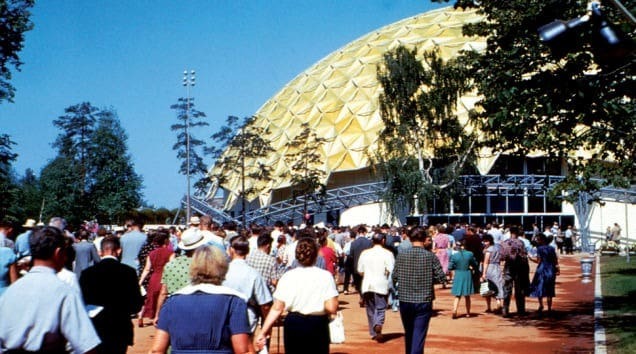 The dome also held an IBM computer — new at that time — that answered thousands of questions about America posed by the Soviet visitors. SHERMAN: I covered the famous kitchen debate between Khrushchev and Nixon. It isn’t generally remembered that that kitchen debate went on in two stages. The world only remembers the second stage when Nixon put it to Khrushchev. But, in fact, what happened was that this was the Eisenhower Administration’s effort to have some basis of working with Khrushchev. 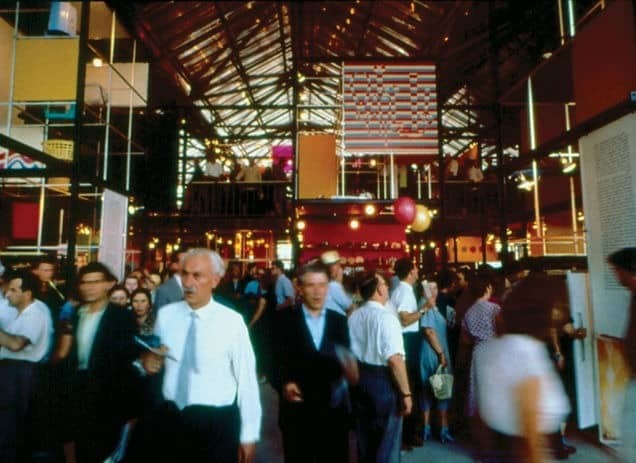 Nixon started out that visit, that was to the American pavilion at the trade fair there, being very diplomatic. The first thing they visited, I seem to recall, was a television studio that they had set up. Nixon said that this was our latest technology in very friendly and gentlemanly terms, but Khrushchev didn’t let him get the words out of his mouth saying that they had far superior equipment here and had had so for years. Khrushchev had the “Who invented ice cream?” kind of approach and was insistent that everything new had been invented by the Russians. Anyway, lined around the studio where this exchange was taking place was the world press and you could see Nixon getting more and more uncomfortable because Khrushchev was taking the initiative and getting the best of him. Nixon could see the headlines that would grow out of this. They moved down to the kitchen where Nixon took the offensive and that is the part the world remembers. Well, [the debate] started with the equipment, but covered the whole world. I mean, all the differences between the United States and the Soviet Union. In that sense it was far more newsworthy because it dealt with issues which brought out the real differences. 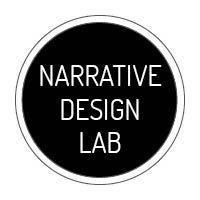 We decided we’d take them into the first color studio in the world, which was provided there by NBC. After that, we would go past the Pepsi Cola stand, girls with colorful dresses and things like that. Then we went to the model house. In model houses, you can only have a single line go through them, so we cut it in half and put the halves 20 feet apart so people could go and see the living room, the kitchen, and all. So, as we went into the studio, there was Madam Fursteva, one of the women members of the Cabinet, President of the Soviet Union, [Chairman of the Presidium Kliment] Vorashelov and [First Deputy Chairman of the Council of Ministers Anastas] Mikoyan and then of course Khrushchev and Nixon. They all stood in the color studio. Khrushchev was very impressed and began talking about his achievement in building these 16-story apartment buildings. He revolutionized their housing so people could get away from their in-laws and 10 people living in a small apartment. So, then Nixon talked to him about our individual homes. So, things sort of escalated into a little debate. Nixon was not known to be very ambidextrous with mechanical things. We had shown him the new Ampex recordable audio tape for the first time. He said, “Mr. Premier, please come over here with me.” So, the whole group went over. He pressed the rewind button on the Ampex tape, pressed the stop button, pressed the play, as we had shown him, and suddenly the whole debate could be heard. Khrushchev looked up and his mouth dropped open, as everybody’s did. The Americans, too, hadn’t seen it before. It was very interesting. We went from there past the Pepsi Cola exhibit. We talked a while and I said, “Well, you asked me to lead. We’ll go by and I’ll just go a little closer to the Pepsi exhibit. The Soviets are very egalitarian, and they’ll probably call out and offer drinks.” There were six or eight of these Russian guides helping us and they were very pretty. That’s exactly what happened. We got him to drink the Pepsi Cola. We then moved to the kitchen of the model house. Khrushchev and Nixon stopped in front of the kitchen display. Now, they started up the debate again. Everybody thinks the debate was started in the kitchen. It actually started in the studio. It got hot and heavy, but it was civil. Nixon was pointing out these things and then Khrushchev would tell what his country had done. Journalists and everybody were squished in there. William Safire,… the famous New York Times columnist, was with the public relations firm and his assignment was the model house. So, he was in the kitchen looking out and the AP guy couldn’t do anything, so he threw Safire the camera. Safire took the picture. One of the pictures was Nixon pointing to Khrushchev’s chest. That picture was used in Nixon’s campaign, and a lot of people attribute that picture to helping him to win. The reason is that in those days, from Truman through Kennedy through to almost Clinton, a predominant factor that students of political science will tell you about is that the American people basically voted for the leader who they thought could deal best with the Soviet Union. They feared that the Soviets had huge atomic weapons and were afraid of a first strike. The photo showed Nixon being tough, and the photo captured a moment that influenced political history and had impact far beyond the immediate occasion. CALLAWAY: [The debate] took place in one of our exhibits in which Khrushchev basically said, “This is a bunch of propaganda. You don’t really have kitchens like this in the United States.” Nixon said, “Yes, this is representative of what we have.” It sort of went on from there about perceptions and misperceptions of the two countries. I think that the exhibits that went around the Soviet Union, and to a lesser extent the satellite communist countries of Eastern Europe, were extremely effective. The Soviets, Bulgarians, Romanians, and others limited the people who could go to those exhibits, but thousands, and thousands of people went through those exhibits. They had a chance to talk to young American people in their own language and have a relatively open conversation with them, when for the most part all they were seeing was the propaganda that had been coming out from their governments about the United States and the relationships between those countries. Many of the people who have gone into the Foreign Service, I think, started out their careers as guides on those exhibits and felt that they were extremely effective. Q: Did the “Kitchen Debate” put a damper on the warming of relationships? TUCH: No. It just became, I would say, a symptom of that relationship in that we were always at each other, but in a way that we could manage the relationship much more easily than we had before. Now this came to an immediate and very abrupt stop on May 1, 1960, when the U-2 with Gary Powers (pictured) was shot down, and our relations sank back into the cellar. They canceled President Eisenhower’s trip to the Soviet Union; Khrushchev made some very antagonistic and very unfriendly statements about him and about the United States, and our relationship became worse — what had previously become a more normal relationship wasn’t very good. However, our exchange activities continued even during this new period of tension. That tension was increased because of Khrushchev’s aggressive statements about Berlin at that time. However, the exchanges continued under our first agreement, and in 1960, after the Gary Powers incident, after the U-2 incident, was renegotiated in Moscow, and renewed for another two years. Now gradually the exchanges continued, the relationship moved upward again, culminating in the election of President Kennedy and some movements by the Soviets vis-a-vis the new President, indicating that they wanted to have better relationship again…. It is difficult to measure, in public diplomacy terms, the impact of such a major and expensive effort. In my judgment, it more than paid off. For hundreds of thousands of Soviet citizens, many coming from afar, it was the first glimpse of America, their first personal contact and conversation with Americans, the fifty-odd Russian-speaking American guides mostly young graduate students. Not only did they see something of life in America, but they also enjoyed themselves, sampling Pepsi for the first time, having their hair coiffed and their faces made up by Coty beauticians, swaying with the music in the fashion show, getting their first look at color television, seeing the inside of a typical American one-family home. And many remembered the experience for a long time. On a visit to Moscow fifteen years later, I met a man on the street, still wearing on his lapel the American National Exhibition emblem, who told me, when I asked him, that his visit to the exhibit in 1959 was a lifelong memory, a pleasant memory, since it was his first look at America. “Caspian School – 2015”. Call for applications! What's "In the Works" for R.S. Zaharna?